Best Quality Roofing works hard to provide you with exceptional roofing quality and customer service that exceeds your expectations. It is our goal to provide you with residential and commercial roof repairs, re-roofing, and maintenance that will protect you for many years. 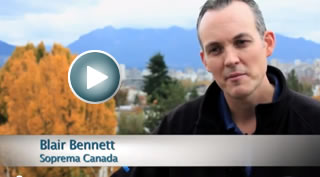 Click the play button to watch a video testimonial from Soprema Canada’s BC Regional Manager Blair Bennett. 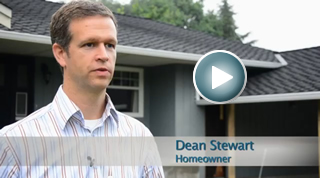 Click the play button to watch a video testimonial from Coquitlam homeowner, Dean Stewart. 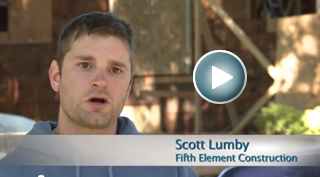 Click the play button to watch a video testimonial from professional contractor Fifth Element Construction. 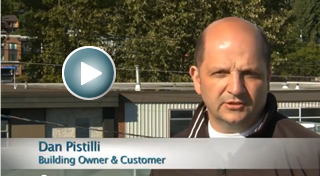 Click the play button to watch a video testimonial from commercial building owner Dan Pistilli. 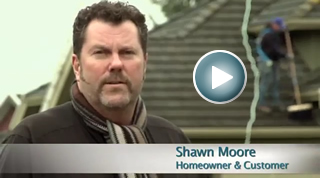 Click the play button to watch a video testimonial from Vancouver homeowner, Shawn Moore. We have been partnering with Best Quality Roofing for many years and have always found their service to be exceptional. From leak investigations to roof condition assessment reports, multi-family re-roofing and maintenance programs, Best Quality Roofing has always been quick to respond, are highly professional and do the job right the first time, at a reasonable price. We would highly recommend Best Quality Roofing for all of your roofing needs. A strata corporation I manage awarded a roof replacement to Best Quality Roofing Systems for replacing the roof on three of their buildings. The project was finished ahead of schedule despite challenging working conditions and they addressed any concerns immediately. I’m very impressed how well the project went and use Best Quality Roofing Systems regularly for roof repairs and maintenance as well.” – Michael Roblin, Dynamic Property Management Ltd.
We are very happy with the roof and appreciate the excellent service. We wouldn’t mind at all if you left your sign at the house so that others know we appreciated your excellent workmanship and service. We would be happy to supply a referral at any time and if you are asked for a reference, not a problem, we would be happy to. We had a great experience with this company right from the first phone call! Tyler was great and explained everything to me very patiently and didn’t mind further explanation if I needed it (I’m a senior woman) I felt very confident having them work around my house. They did a good cleanup job and were finished ahead of schedule. When a minor issue was left unfinished due to inclement weather they were there as soon as possible to remedy it. I can honestly say I would recommend Tyler and the company as first rate! We just wanted to express our appreciation by saying thank you for coming out in the middle of the night to stop a leak on our roof while the rain was coming down in buckets and wind was blowing. Then coming back in a timely fashion while working with our insurance company to get the repair done and getting our roof back to safe and dry state. Thx again! Thank you for a great job on replacing the roof on my home. Your staff was both kind and courteous while working on my home. At the end of each day, the job site was always clean and safe. We have not had any issues with the new roof and it looks great while improving the overall appearance of our home. I’d like to thank Richard and his Team for allowing me to relax this fall under a new roof. My old roof wouldn’t have made it through the rainy season or winter without causing me big problems. I am very grateful for the immediate and professional service I received, and would highly recommend your Company to any family or friend in need of any roofing work! We are pleased to provide this letter of reference for Best Quality Roofing. We are a 90 unit housing complex located in Deep Cove. We retained the services of Best Quality to replace two of our four roofs. We were very satisfied with the level and quality of service provided by Best Quality. Any small concerns that arose during the remediation were addressed immediately by either the site foreman or the office. Our members were kept fully informed of the progress and were always treated with respect. The work was completed on time and in a professional manner. We would have no hesitation in recommending Best Quality Roofing to anyone looking to repair or replace their roof. I just wanted to take the time and thank you Richard and your staff for making our roof replacement the most pleasant experience it could have been. As we know the quality of the work you preformed on our residential home is to a high standard we can sleep easy at night and during any storm. The torch on flat roof looks great and we are having no problems. If needed for anything we would not hesitate to call. Thank you for the excellent service your company performed in the replacement of the roofing shingles on my home. The crew you supplied to do the job were, to a man, polite, courteous, respectful, and had a work ethic this is a sign of a true professional tradesman. Thank you and your crew, once again, and do not hesitate to use my residence and name if references are desired by others seeking roof repair or roof replacement. Thank you for taking the extra time involved in bringing your staff and materials up to our boat only access cabin in Pitt Lake. The metal roof you installed looks and performs great. Your staffs workmanship and professionalism while working was much appreciated. When looking for a roofing company to do our cedar conversion we found you to be the best choice. From your presentation to the finished product of our CertainTeed Presidential roof, that looks fantastic, our experience has been a good one. We would recommend your company to anyone. We just want to say great job on replacing our flat roof on our commercial building. We have and will continue to refer business your way. In the future if needed for any repairs or replacement of our other facilities we will be giving you a call. The work performed on our house was done on time and in a safe manner. Your staff was nice to deal with while keeping us happy by explaining any concerns we had. The new roof looks great. We have told all our friends if they need a new roof or repair to call Best Quality Roofing! You have done a few roofs for us now being our cabin that has a metal roof, a couple rental properties that were laminate shingles, and our residential home that is laminate shingles and torch on flat. You have also taken care of a few friends that we sent your way. They have been happy with your work. Thanks for keeping us dry and keep up the good work!